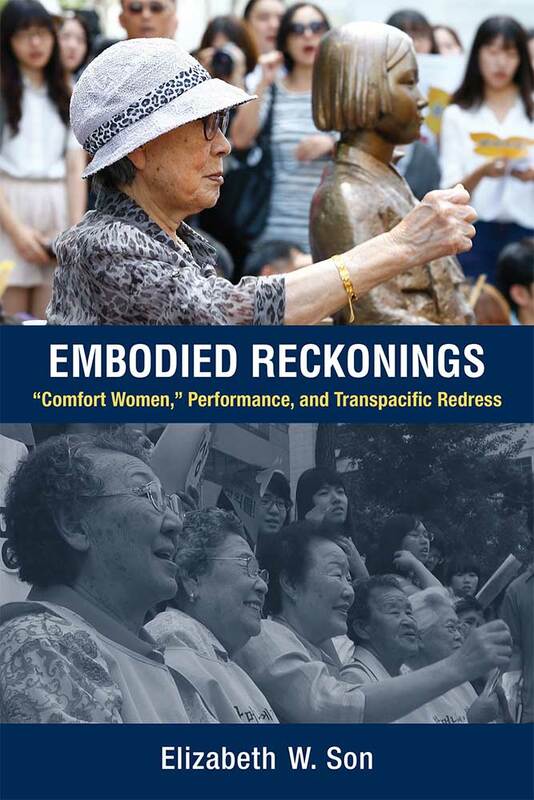 Embodied Reckonings examines the political and cultural aspects of contemporary performances that have grappled with the history of the “comfort women,” the Japanese military’s euphemism for the sexual enslavement of girls and young women—mostly Korean—in the years before and during World War II. Long silent, in the early 1990s these women and their supporters initiated varied performance practices—protests, tribunals, theater, and memorial-building projects—to demand justice for those affected by state-sponsored acts of violence. The book provides a critical framework for understanding how actions designed to bring about redress can move from the political and legal aspects of this concept to its cultural and social possibilities. Based on extensive archival and ethnographic research, the study argues for the central role of performance in how Korean survivors, activists, and artists have redressed the histories—and erasures—of this sexual violence. Merging cultural studies and performance theory with a transnational, feminist analysis, the book illuminates the actions of ordinary people, thus offering ways of reconceptualizing legal and political understandings of redress that tend to concentrate on institutionalized forms of state-based remediation. Elizabeth W. Son is Associate Professor of Theatre at Northwestern University.